Following our round up of the most gorgeous celebrity engagement rings last week, we’re now turning our attention to sensational wedding dresses. If you’re currently searching for ‘The One’ (dress, not groom!)  then we may just be able to give you some inspiration. Read on for the Woodhall Manor guide to the most stunning wedding dresses of all time. Definitely our all time favourite, Grace Kelly’s wedding dress has been the source of inspiration to brides the world over ever since she swept down the aisle in Monaco to marry her prince in 1956. This real life fairy tale captured everyone’s hearts and the elegant, classic and timeless dress was the perfect choice for the new princess.Film studios MGM where Grace Kelly was contracted gifted the actress her iconic wedding dress that was designed by their chief atelier Helen Rose. Taking 6 weeks to create by 30 dedicated seamstresses the lace bodice, long sleeves, high collar and full silk skirt created a sensational dress that has not dated. Film studios MGM where Grace Kelly was contracted gifted the actress her iconic wedding dress that was designed by their chief atelier Helen Rose. Taking 6 weeks to create by 30 dedicated seamstresses the lace bodice, long sleeves, high collar and full silk skirt created a sensational dress that has not dated. It was a moment we all waited for with baited breath. A fresh faced Lady Diana Spencer stepped out of her golden carriage for her fairytale wedding at St Paul’s Cathedral and the world got its first glance at the much talked about wedding dress that had become one of the most closely guarded secrets in the world of fashion. The classically eighties ‘meringue’ dress was created by David and Elizabeth Emanuel marking their first notable commission. With a 25ft train the silk taffeta creation had struggled to fit into the carriage and was noticeably creased on arrival. 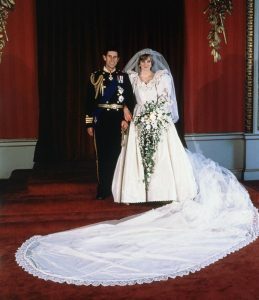 The Emanuels were on hand to smooth it down and arrange the large skirt before Diana glided down the aisle on the arm of her father. Hand embroidered with thousands of sequins and pearls the dress also featured a ruffled neckline and large puffed sleeves. Restrained and elegant aren’t words that normally roll off the tongue when you think of the name ‘Trump’, but when Donald’s daughter Ivanka married Jared Kushner in 2009, her wedding dress choice was one of the most beautiful dresses we’ve seen. 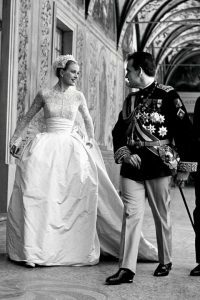 With A list bridal designer Vera Wang commissioned to create the dress at a reputed cost of $50,000, Ivanka admitted to taking inspiration from Grace Kelly’s iconic dress from 1956. The bride wanted a classic, elegant and traditional look on her big day and chose demure lace sleeves and a romantic lace covered skirt. The sophisticated creation featured multiple layers of Lyon and Chantilly lace and was designed to be comfortable for the bride who declared she intended to “dance all night”. We suspect that as George Clooney’s fiancé, Amal was not short of options when it came to selecting her wedding dress designer. She opted for Oscar de la Renta saying, “He’s such an elegant designer and such an elegant man.” We couldn’t agree more! Amal’s bespoke dress was created from French lace and featured a sweeping off the shoulder neckline. Covered in tiny pearls that were embroidered by hand, the dress also boasted a sweeping train that the bride coupled with a beautiful cathedral length veil. John Galliano, the enfant terrible of the fashion world was the obvious choice when Kate Moss decided to give marriage a go to her rocker beau Jamie Hince. Such was the hype around the notorious party girl’s nuptials that the event was dubbed Moss-stock and reportedly went on for 3 days. We doubt the Cotswolds have ever seen anything like it! With a rock and roll bride and groom, the dress was never going to be demure! Instead, Galliano created a sensational vintage inspired design that drew heavily from the 20s and 30s. The slip style dress was bias cut and had a sheer overlay that was embroidered with thousands of gold sequins and beads. With sheer straps and a see through skirt it was perfect for the stylish supermodel. We hope you’ve enjoyed our round up of our favourite celebrity wedding dresses and we hope we’ve inspired you to find your own perfect dress. At Woodhall Manor our wedding planners are experts in everything wedding related so why not give them a call to discuss your own arrangements? Give us a call on 01394 411288 or email info@woodhallmanor.com to find out more about exclusive use of Woodhall Manor.